Hi, it’s Kristin from skirt as top and as a contributor to this blog I’ve had a lot of fun collecting and curating other folks’ favorite Oliver + S patterns. I thought today I’d join in and talk about my favorite! I’ve sewn quite a few Oliver + S patterns in the 4 1/2 years I’ve been sewing, but the one that brings me back every time is the Sailboat Top, Skirt + Pants. It’s an older pattern in the catalog, and gives you a lot of bang for the buck with three different patterns in one. It’s a unisex pattern, but the funny thing is I’ve only sewn it for boys! …and I loved it! My son got a lot of wear out of that little top, but of course he quickly grew out of it! So I made him another, again out of a men’s french terry sweater (from the Old Navy sale rack), and this Sailboat has become the most worn item of clothing so far in his life. I added yellow topstitching and minty buttons to add a little extra interest, and truly, this sweater goes with everything. I made it really big on him when I sewed it (back in April 2012! ), and it’s just now getting too short in the arms and body. I actually refuse to accept that it’s probably too small and keep putting it on him. Heh. I’ve also sewn a few Sailboat Pants over the years. They’re an interesting but fun version of an old timey sailor pant, made to fit at capri length, though I made them into shorts once which was pretty cute too. 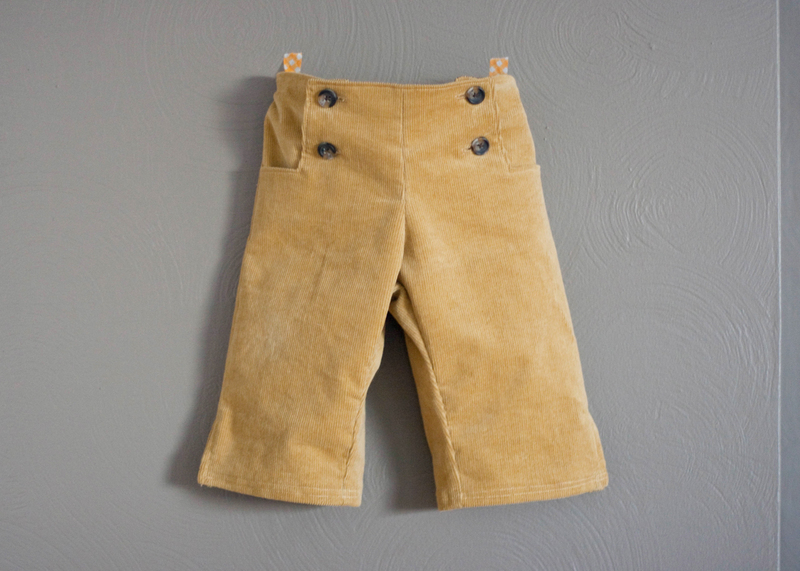 I like sewing them in corduroy or twill and having fun with the facings. 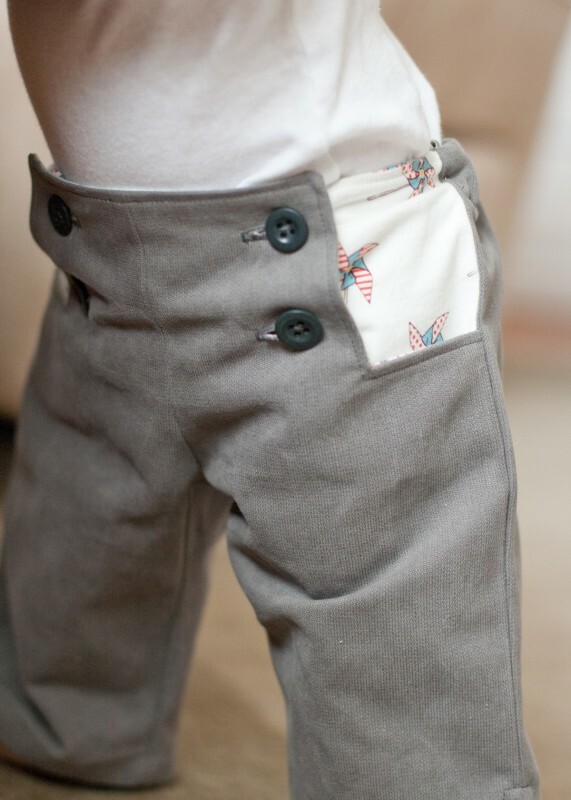 Sailboat Pants even made an appearance in one of my favorite posts from our film petit series! Can you guess which one? Alas, I’ve never made the skirt, and I’ve never even made a Sailboat Top for a girl! I’ve seen beautiful versions, but my daughter is more of a cardigan gal if you know what I mean. Things that I love about the Sailboat pattern: it’s fun and quick to sew, the facings eliminate the “harder parts” of knit sewing like hemming and adding neckbands (though I like to use a walking foot when I sew with knits, just to be safe), it has a great shape and adds style to basic boy clothes, with lots of room to customize topstitching, buttons, and the facings to really make it your own! I mean, who doesn’t love a secret surprise detail in kids clothes? 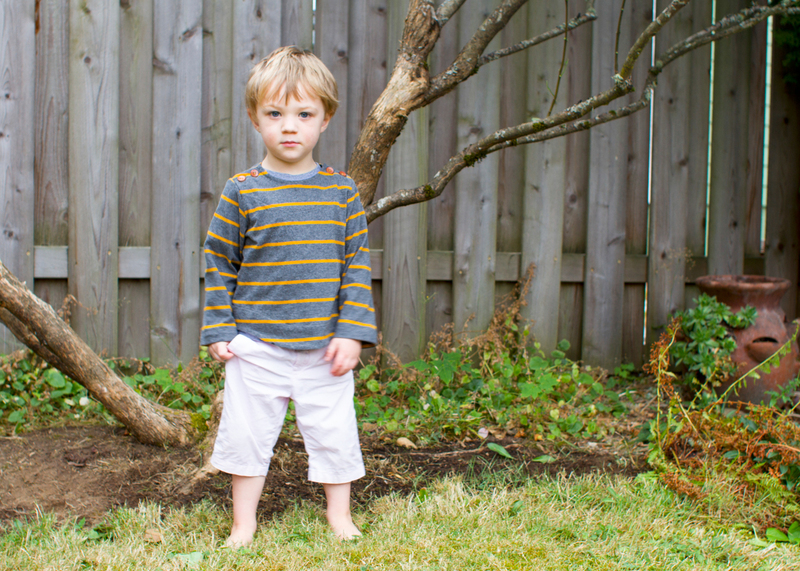 Now that I think about it, I should probably add a larger Sailboat Top to my list of things to sew for spring Kid’s Clothes Week. 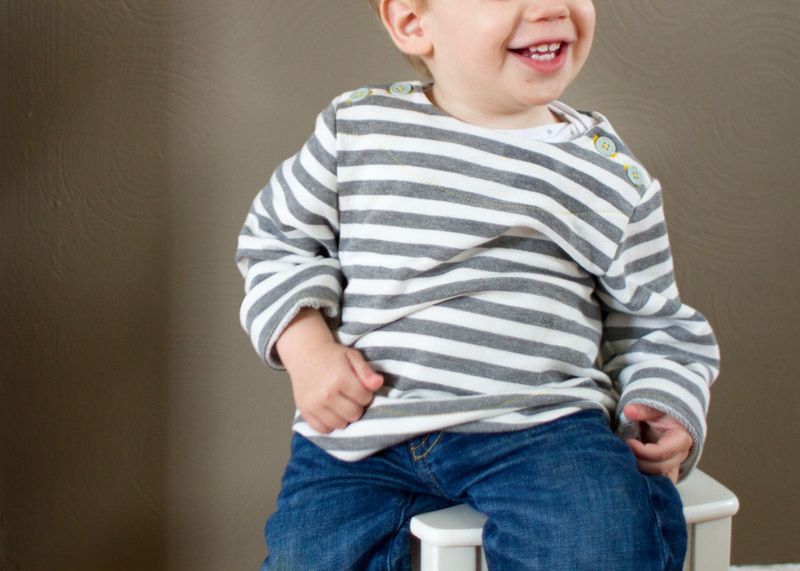 Are you planning on sewing any Oliver + S patterns for KCW? Perhaps I’ve convinced you to add this one to the mix! Want a trip down memory lane? Here’s Liesl’s original introduction of the Sailboat Top from 2009! oh yes, this really is a great pattern – and thanks for reminding me that i must make a sailboat top ASAP!! i love all your versions, pants and tops. great post! That gray and white striped sailboat top is what motivated me to buy the sailboat pattern though I have yet to actually make one for the boys! Maybe I should put it on my KCW list too! Cute! I love the pants and the shirt. 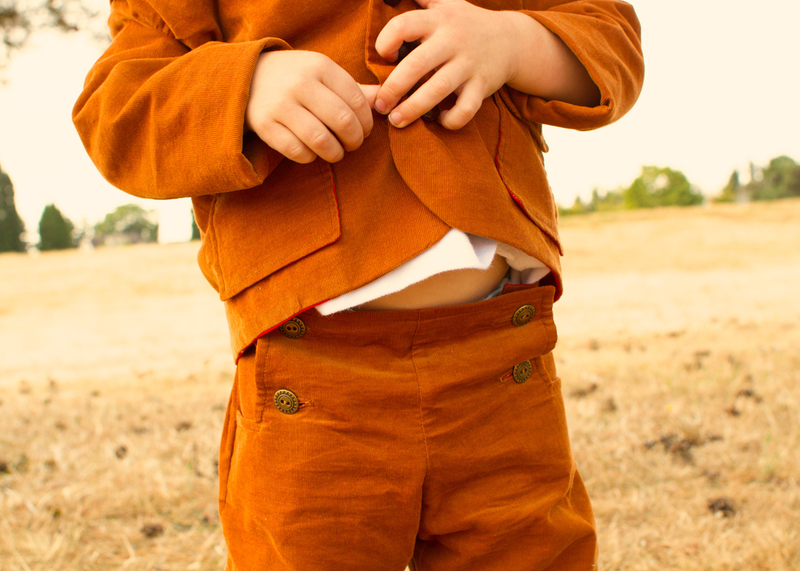 I have all boys and never considered this pattern, I need to get this and get started on some sewing…. I love this pattern! I have made a TON of Sailboat Pants through the years (like you, I’ve never made the skirt, although I’ve made both boy and girl pants). I would like to add, they really lend themselves to piping too! You can never have too much piping! I really want to make a corduroy full-length trouser pair one of the days … and I also really want to try out a Sailboat dress, like some of the commenters mention. I am not done with this pattern yet! My goodness, those sailor pants and top are super cute. In the absence of a son, I might just have to make some for my little girls! I too love this pattern, I have use it for both my daughter and son. It makes great long pants in cord for the winter time. 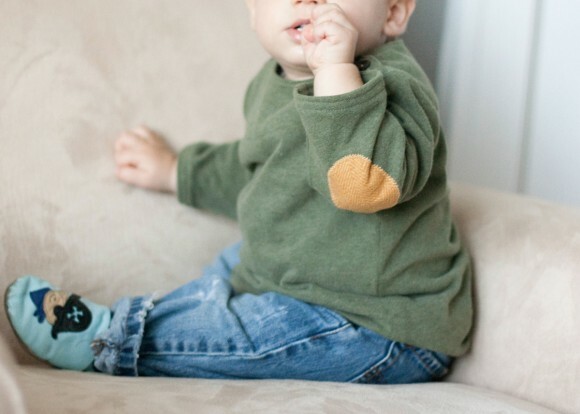 I’ve never sewn for my 7 month old boy, but this pattern is next on my list. Thanks for the inspiration! out of curiosity, what stitch setting did you use to sew with the knits? it doesn’t look like zig zag? Sigh…great clothes – love it! Will have to wait for nephews to start having kids so I can sew this pattern. On that note – does anyone know of an adult pattern that’s close in style to the top? Love the simplicity of it – just buttons at the shoulders. Liesl – great call on making it a dress – I really should do that for the little gal! Would be such a comfy play dress in knit. 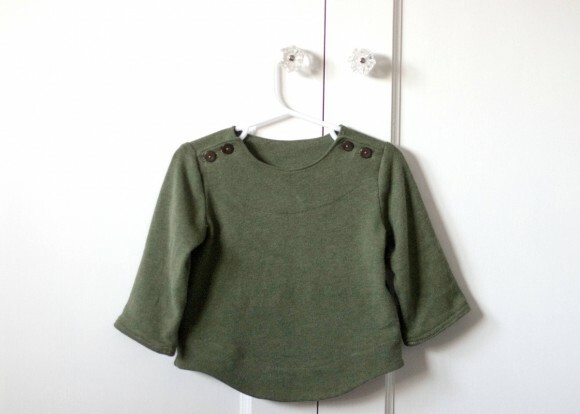 Mamacharm – You’re right, I just used a straight stitch (with and without a walking foot)! 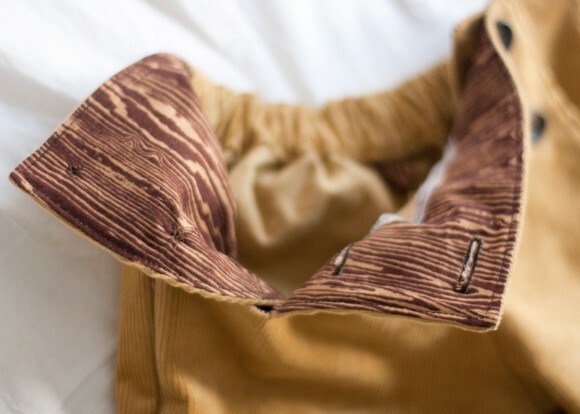 Since the pattern is also written for wovens and has a roomier fit with the button opening at the neck, the seams don’t need to stretch like they would with a more fitted tee/neckline. Straight stitch (with a ballpoint needle) has held up perfectly fine for me. 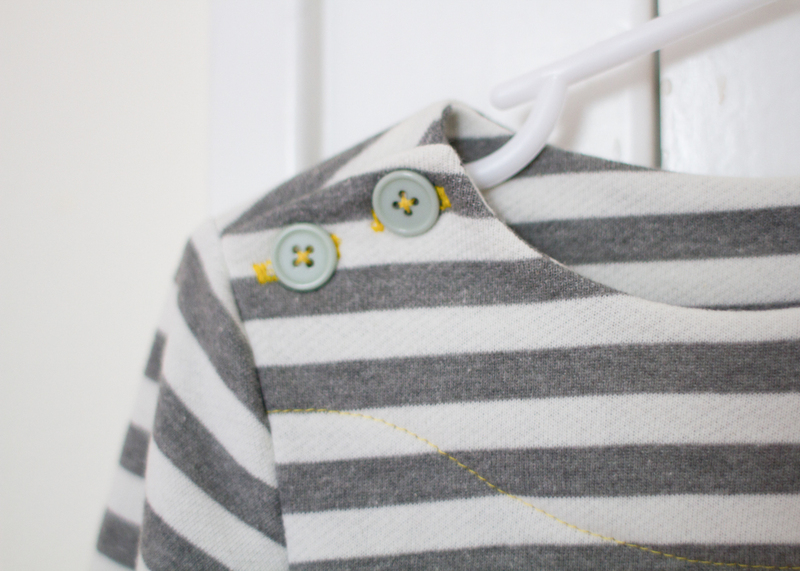 I finished the gray and white stripe top’s seams with my serger because they seemed like they’d fray, but it’s probably not even necessary to do that with interlock. Hope that helps! This one will always have a place in my heart. I was so frustrated with trying to learn to sew from the big 3, and then I found O+S! The first patterns I successfully sewed (meaning, the product didn’t make me curse or never want to sew again, and I was proud to show off) were the sailboat (in knit) and tea party. I love this pattern, too. I especially love the capri pants of my daughter. They are just so sweet. I love the top in a knit as well. Perfect for a boy or girl. I think I need to try making it into a dress! Definitely a great pattern – I love the sailboat skirt on my girl. It’s just too adorable!